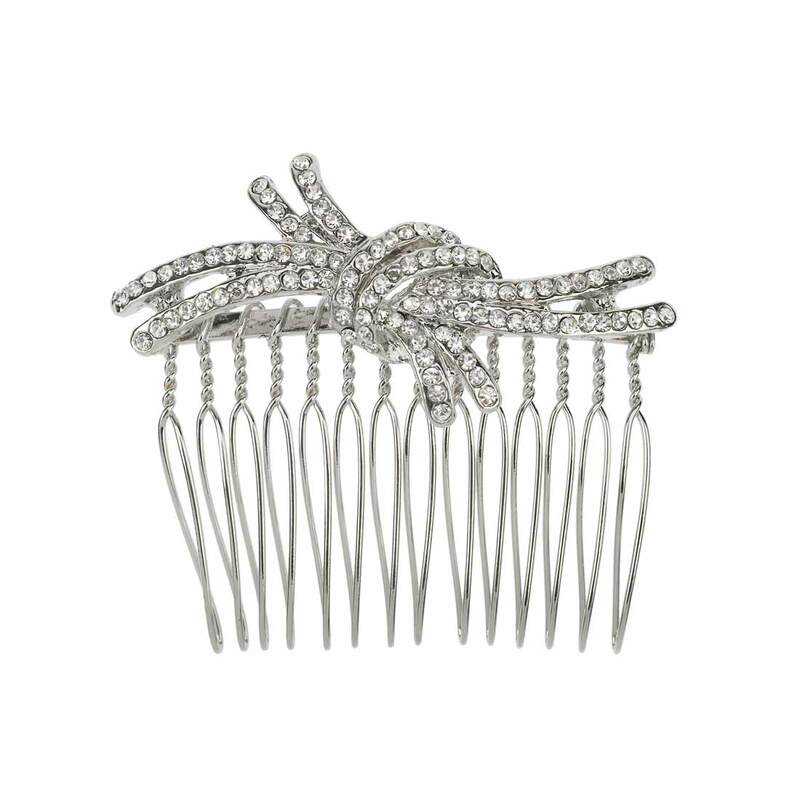 Featuring an Austrian crystal studded knot design, this hair comb is the epitome of chic style. Inspired by 1940s hair accessories, this chic silver tone hair comb is fabulous. Featuring a knot design encrusted with sparkling clear Austrian crystals, it is the epitome of vintage glamour at its best. Adorn a low side bun with movie star style or dress an elegant with a hint of glitz, its versatile size ensures this hair comb is perfect for most hair types and all occasions. A classic wedding hair comb for brides who prefer subtle headpieces, simply coordinate with a pair of drop crystal earrings for a timelessly glamorous look. Also perfect for bridesmaids for a show stopping wedding style. Just received this product. Amazing quality and fast delivery. Thanks I am really happy with my purchase. The picture does not reflect its real beauty and elegance.